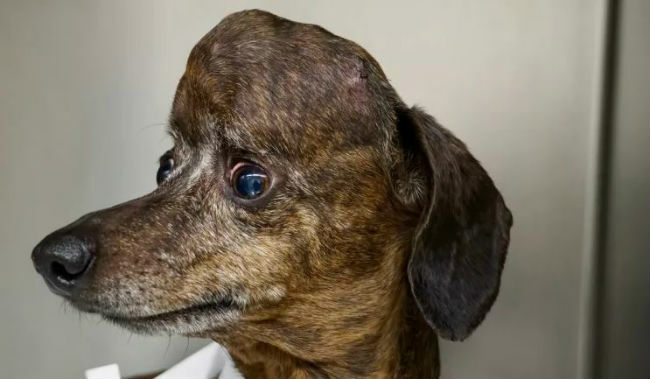 This 9-year-old dachshund was suffering from a massive brain tumor, but got a big leg-up in the fighting chance department thanks to 3D-printing technology. 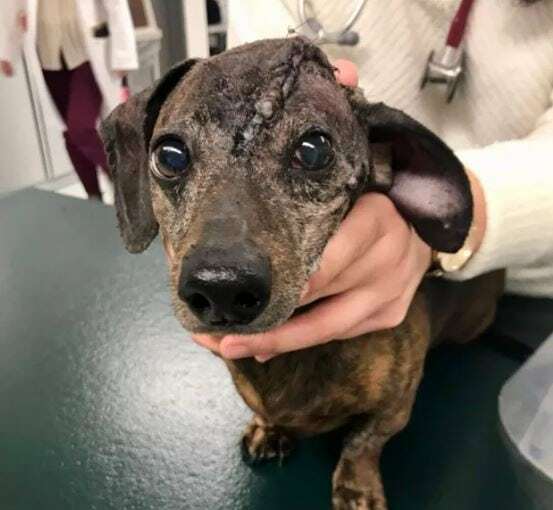 At first, the dog, who hails from Williamsport, PA, had just a small bummp on her head, but it grew larger in just a few months, and turned into something very serious for Patches and her family, the Canadian Press reported. Anxious and in need of medical help, Patches’ family sought out veterinary surgical oncologist Michelle Oblak at the Ontario Veterinary College at the University of Guelph. Oblak has been using 3D-printing technology to treat dogs. Generally speaking, when vets treat such a tumor, they remove a portion of the skull to operate and in its place fit a piece of titanium mesh. 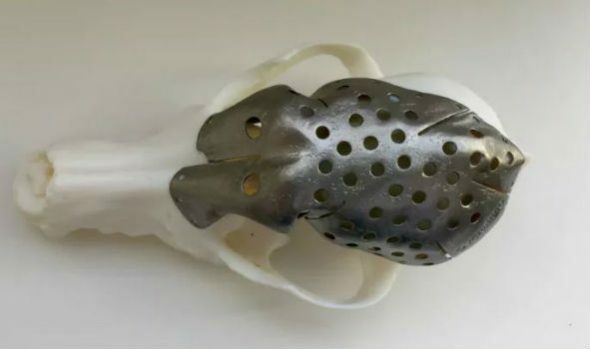 In Patches’ case, Oblak and her colleagues used a new procedure in which a 3D-printed skull cap is specially fitted for the canine patient, which the researchers claim is more precise and less costly than conventional methods. The titanium cap ended up replacing 70 percent of Patches’ skull, which had to be removed during the procedure. Oblak said researchers in the UK have done something similar, but on a “significantly” smaller scale. The process began with CT scans, performed to map out Patches’ head and tumor. Oblak and her colleagues then used this data to simulate the surgery, cutting out the tumor from the dog’s virtual skull. Researchers were then able to map out the dimensions of the 3D skull cap, including the location of holes for screws. Oblak said there was “very little room for error;” the plate wouldn’t fit if their measurements were off by more than two millimeters. These schematics were then sent to ADEISS, a medical-grade 3D printing company, which produced the custom-fit titanium skull cap. Back in March, Patches underwent four hours of surgery in which her tumor and the majority of her skull were removed. But just a half hour after waking from the procedure, Patches was up and walking and eager for an outdoor pee break! Oblak, who reportedly is writing a report on the procedure, says Patches is now cancer free. Danielle Dymeck, Patches’ owner, was delighted that the surgery was a success, though Patches now has a permanently crooked ear. We think she looks pretty cute!